Christian prayer request. Spiritual Gifts Today has anointed believers available to pray for your prayer requests. We understand the power of prayer and gladly stand with you and take your request before the Lord. Know that the Lord is faithful to hear and answer the prayers of his children according to His will. We can not ‘fix’ anything. We can, however, stand with you and address any demonic principalities that may be involved in your situation knowing, God hears and will respond on your behalf. Please share your testimonies of how God has moved for your you. God bless you. Philippians 4:6 – Be careful for nothing; but in everything by prayer and supplication with thanksgiving let your requests be made known unto God. Proverbs 15:29 – The LORD is far from the wicked: but he hears the prayer of the righteous. Matthew 7:11 – If you then, being evil, know how to give good gifts to your children, how much more shall your Father which is in heaven give good things to them that ask him? Romans 8:26 – Likewise the Spirit also helps our infirmities: for we know not what we should pray for as we ought: but the Spirit itself makes intercession for us with groanings which cannot be uttered. Please let us know how we can pray for you. Salvation is the greatest gift you can receive from the Father. We encourage you to give your life and your burdens to God. He knows the pain and fears you are experiencing and will lift you up. Ask God to come into your heart. He will cleanse you of your sins and make you whole! PRAY THIS PRAYER: Father, I come to you knowing that I am a sinner. I have done things that have hurt you, myself and others. Lord forgive me of my sins, come into my heart come into my life and guide my life. I believe that Jesus died and rose again for me. Come into my heart, become Lord of my life and my home. In Jesus Name, Amen. Please pray for my breakthrough and deliverance. I have been separated from God and have developed a hardened heart. I need a new start in life. Depressed feel hopeless. I need to sell my home and return to my home to get treatment for alcoholism, Please pray that I may sell my home and start a new life. David, God has never left you, even though you feel you have left him. We all go through times when we feel we have lost our way. The most important thing to know is that God is not angry or disappoint with you. He knows all about you. If you are holding unforgiving of any kind release it and forgive not by feelings but forgive in faith. 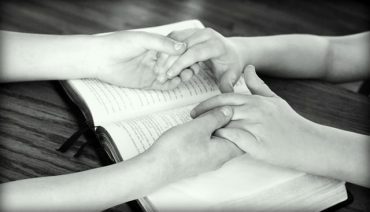 Every day takes just five minutes to pray and five minutes to read the scripture. These are little steps that will move you closer to the Lord. Most of all David, I want you to thank and God every day for what you have, no matter how small it is. God is faithful and will hear your cries. We believe God for you. Father, we rebuke the spirit of oppression, and depression, anger, and wounding. You alone understand and know his heart. Draw him by your holy spirit and set him free in Jesus name.